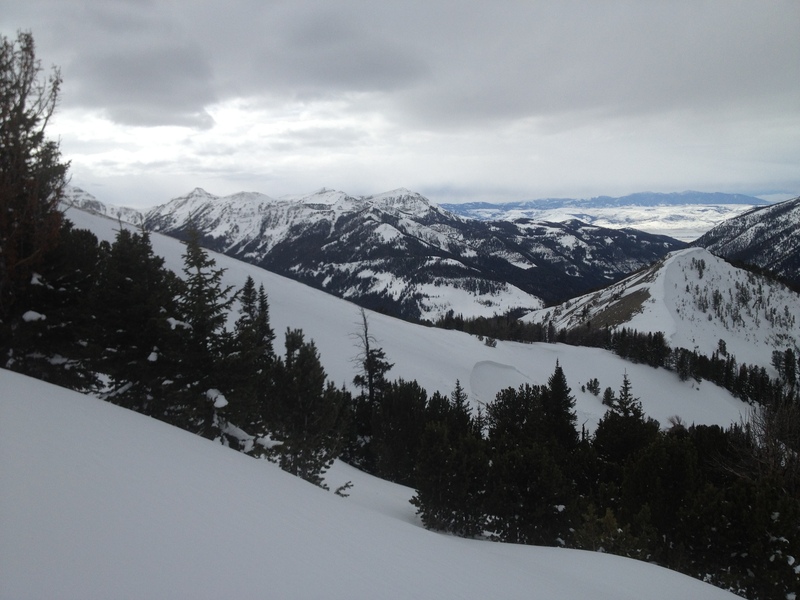 On Wednesday, February 26, a lone snowboarder descended the Chippewa area on Lone Mountain and triggered an avalanche on an ESE aspect. 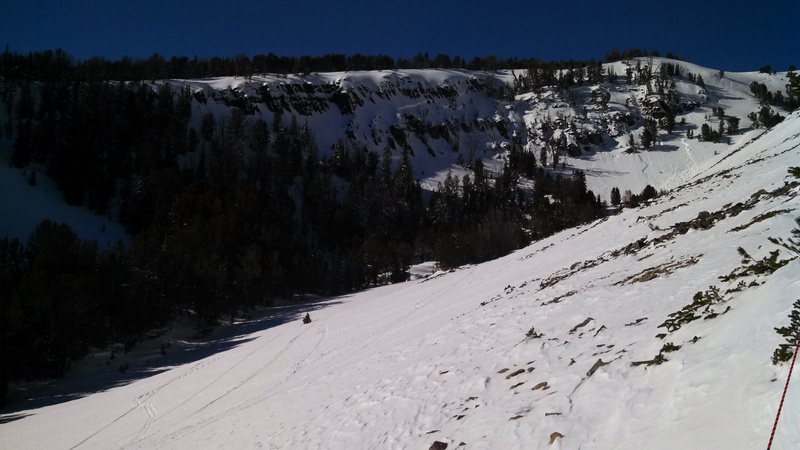 He was caught, carried downhill, and partially buried with a minor foot/ankle injury. 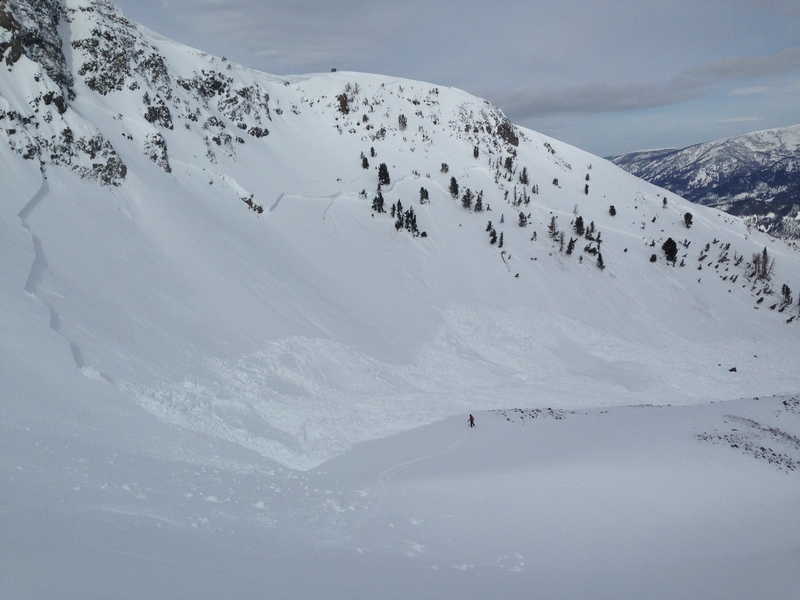 The avalanche broke over 500 feet wide and ran 250 feet vertical. The slope angle near the trigger point ranged from 35-39 degrees. The crown was 2-3 feet deep. 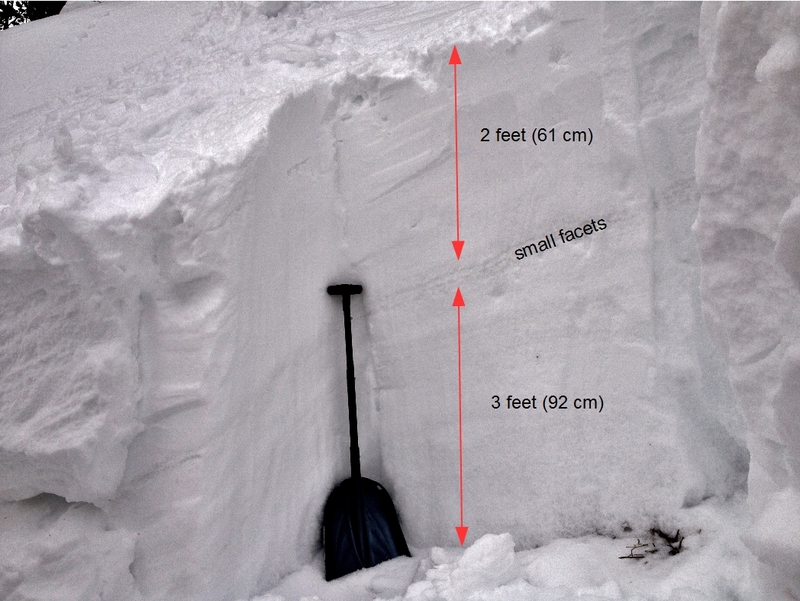 This avalanche broke on a thin layer of faceted snow crystals that formed in late January. US Classification is SS-ARu-O-R4-D2. This slide was triggered by a snowboarder in this area just below the camera. 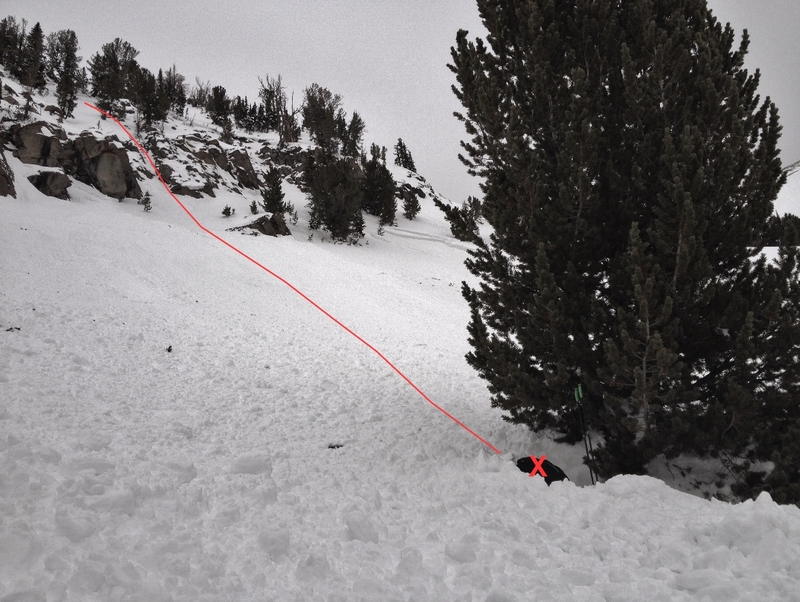 The snowboarder was carried and partially buried at the red X.